Welcome to Day #5 of Chocolate Holiday Spice and Maple Theme Week. It's a cold December evening, and you're craving a hot drinking chocolate with a kick. What do you do? 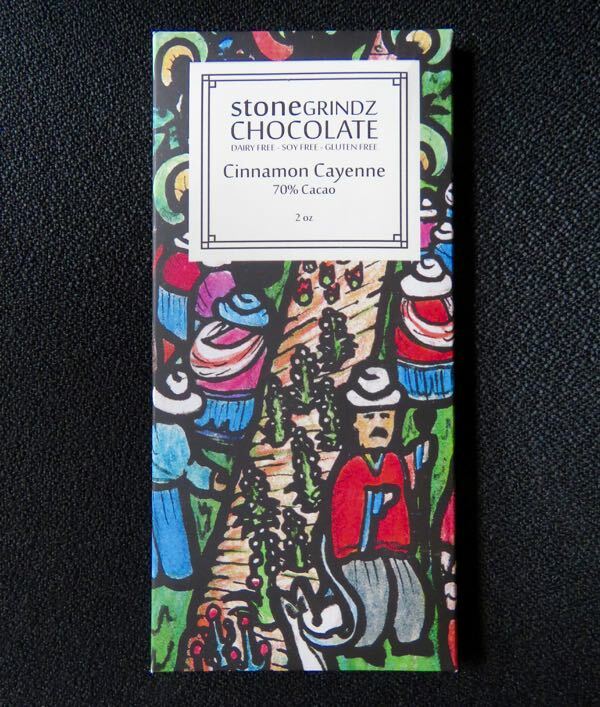 Well, you could wrap your mittened hands around today's Cinnamon Cayenne 70% Cacao bar from Stone Grindz Chocolate (Scottsdale, AZ). 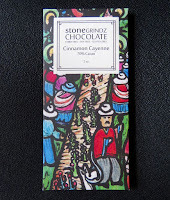 This bar's balanced aroma and flavor captured the steamy essence of spiced drinking chocolate: warming cinnamon with a slightly delayed hot sparkle of cayenne pepper, in a quality, 70% cacao, bean-to-bar chocolate base. 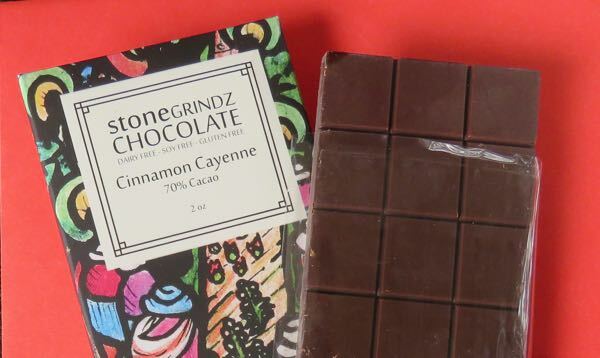 The Cinnamon Cayenne bar also had a pleasing texture, with a relatively creamy/buttery, even melt. Happy Christmas Eve to all who celebrate. May all your holiday dreams come true.